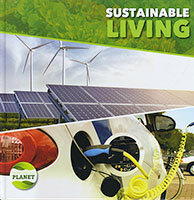 What is 'sustainable living'? Why is it important? How can we try to live sustainably? All these questions and more are discussed here, in this interesting and child-friendly look at sustainability in the 21st century. Protecting Our Planet: What Can We Do About Oil Spills & Ocean Pollution? Protecting Our Planet: What Can We Do About Nuclear Waste? Protecting Our Planet: What Can We Do About Acid Rain? Protecting Our Planet: What Can We Do About Ozone Loss? Protecting Our Planet: What Can We Do About Deforestation? Protecting Our Planet: What Can We Do About Toxins in the Environment?